All are Unique Snowflake Rubber Bracelet. 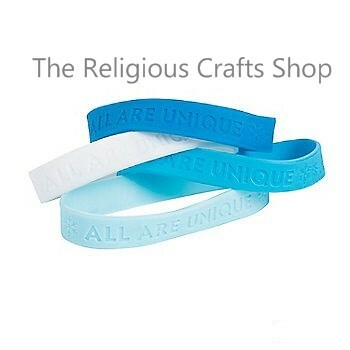 Lovely bracelets with a simple message to say how special we all are. Bracelets all have the message 'All are Unique' and some snowflakes. They come in three shades of blue or white.